Prepare up to 130 briquettes in a matter of minutes. Camp Chef's Charcoal Lighter Basket is designed to direct airflow through the basket to efficiently light your charcoal so they are hot and ready to use in no time. A heat deflector and wooden handle are added for protection. Prepare up to 130 briquettes in a matter of minutes. 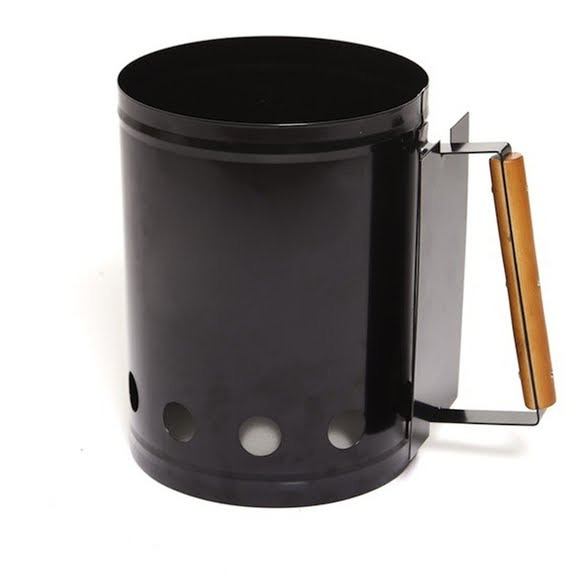 Camp Chef&apos;s Charcoal Lighter Basket is designed to direct airflow through the basket to efficiently light your charcoal so they are hot and ready to use in no time. A heat deflector and wooden handle are added for protection.